When we were given the task to create a custom environment that embodied love and marriage for Tanger Outlets’ Romance & Style event, we developed a space that channeled the look and feel of timeless romance. In an area draped in white fabric, we strategically directed atmospheric lighting that created a romantic and elegant ambience. 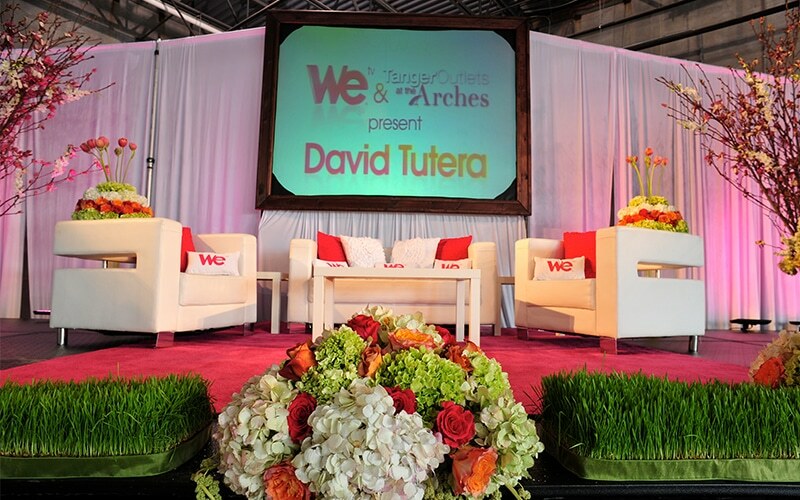 Flower sculptures were modeled after bridal bouquets and live grass accents surrounded the experiential environment to represent marriage, growth, and harmony. 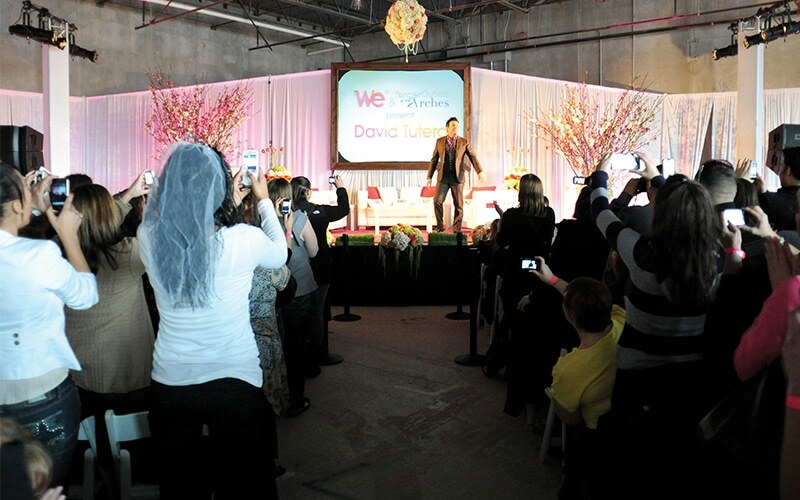 The look and feel of the space portrayed the idea of love and marriage and also helped promote celebrity wedding planner and event host David Tutera’s book, “My Fair Wedding.” The Romance & Style event drew an impressively large audience and Tanger was extremely pleased. Not only were they happy with the environmental design and fabrication, they also gave the Gilbert team accolades for their expert event coordination and management.